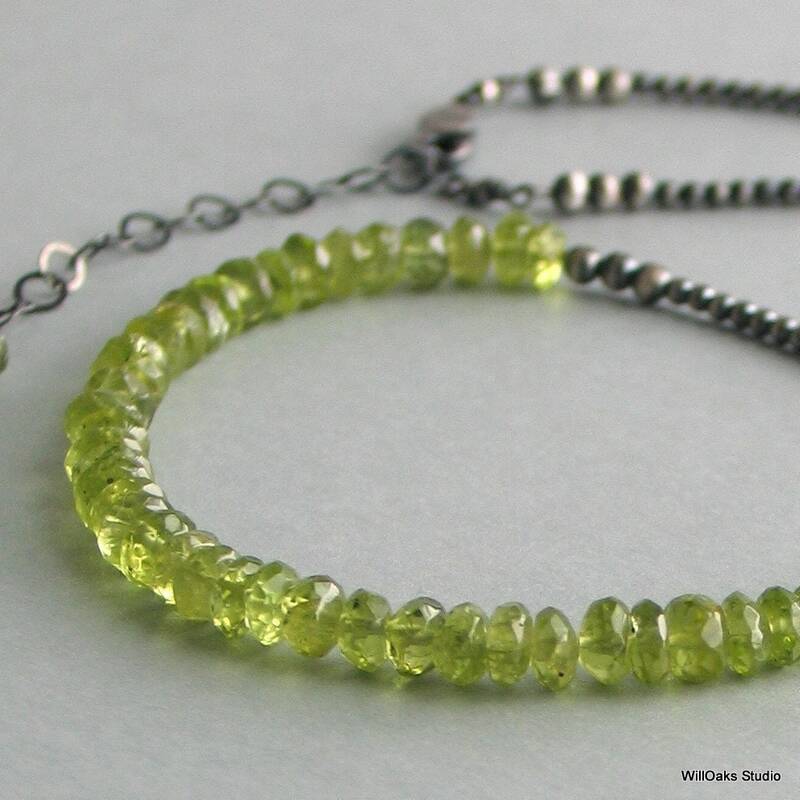 Peridot for August birthdays and for those who love green gemstones. 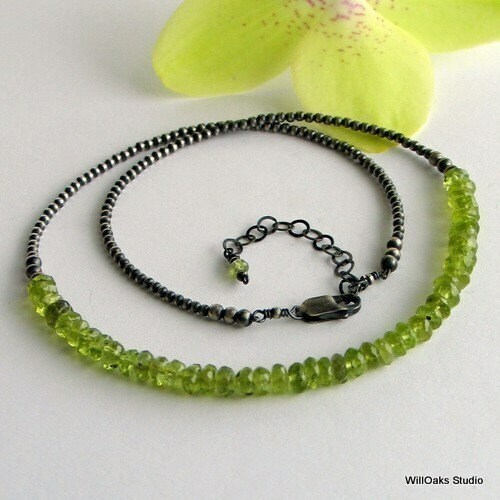 Five beautiful, sparkly inches of faceted peridot gemstone beads are flanked by a light and dark handmade sterling silver beaded chain. 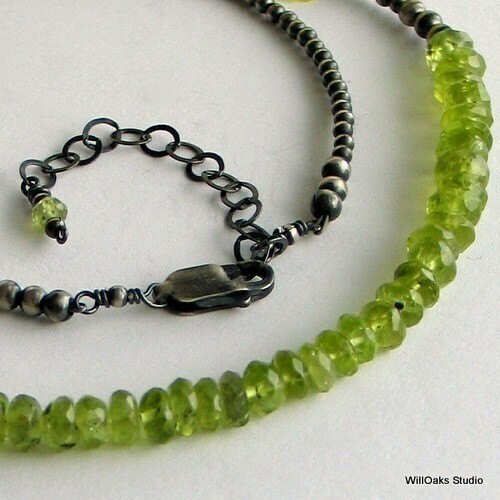 Part of my special chain series, featuring natural peridot stones. 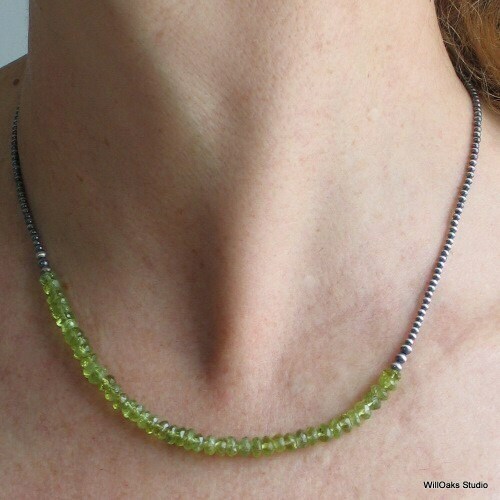 This gemstone choker will please anyone who love the color green! Oxidized silver is selectively buffed to create a unique "chain" of sterling silver beads which adjusts from 16 1/2" to 18 1/2" long, closing with a sterling lobster claw and an extension chain. A final tiny faceted peridot dangles from the end of the extender. This demure, very comfortable design works well with many different necklines and the facets do sparkle when they capture light. It works well alone and layered with other pendants and necklaces, too. Peridot is the birthstone for August, but this lovely color might also be perfect for gardeners, horticulture buffs and nature lovers in your life.